Laura has over 20 years’ experience in the private, not-for-profit and public sectors in Canada, the United States and internationally, with specialization working in the cultural sector. 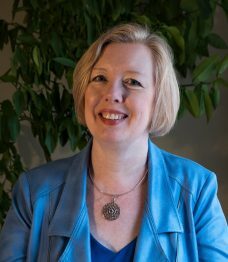 Recognized for her leadership skills, she has worked primarily with performing artists and arts organizations, both in Canada and abroad, and is known in particular for her work with Canadian and international choirs. Her wide range of experience has focused primarily on small to mid-sized not-for-profit arts organizations, and has included program development, marketing and public relations, project management, fundraising, and stakeholder and community engagement. Laura earned a B.A. in French and German language, literature and translation from the University of Toronto in 1992. In 2015, she completed her Master of Management in International Arts Management (MMIAM) through studies at HEC Montréal, Southern Methodist University in Dallas, Universidad de los Andes in Bogotá, and SDA Bocconi in Milan. She conducted thesis research in Riga, Latvia and presented her thesis in Milan, Italy. She is now the Editor of the MMIAM blog, which features interviews with MMIAM alumni, members of the program’s International Advisory Committee and articles from the International Journal of Arts Management. Since 2015, Laura has been focused on national and international cultural projects and is particularly interested in cultural policy and program development. She is an independent management consultant and continues to produce special cultural projects under the umbrella of The Adlers Agency. She is an active volunteer in the Latvian community in Canada, and is currently a member of the board and organizing committees for the XV Latvian Song and Dance Festival in Canada, which will take place in Toronto in July 2019. When she is not managing the business of the arts, Laura works as a Latvian – English literary translator and is a member of the Latvian Literature Association in Riga. She lives and works in the Ottawa-Gatineau region.